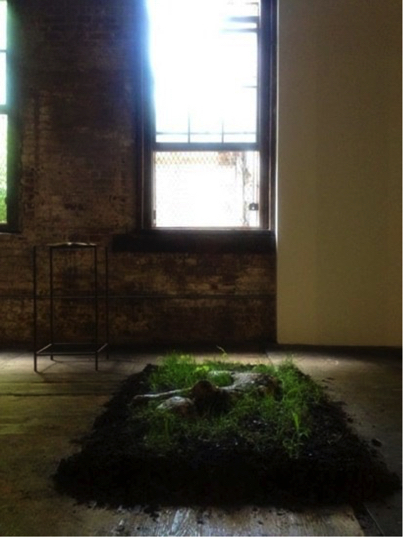 Archeologyof Memory, Behavior, and Biodiversity Naturalis deals with dirt, seeding and care as the cradle of the cyclical movement of life and death, rituals of passage, memory, and cultural preservation. The artist began her research in Pompeii, IT and Bear Mountain, NY. In both locations, she learned how to interact with nature following the directions in the "Education for the Stone," a poem by João Cabral de Melo Neto. Couto took these two remote experiments into an art-biology laboratory where she casted her oldest child's body and made a sculptureof concrete and stones. In it, she introduced moss from Bear mountain, Brazilian and American seeds. In the Lab, shecontrolled temperature and humidity. With the necessary care, the artist allowed these seeds grow into the concrete cracks. During installation, she placed a table with "Education by the Stone on view. Concrete, dirt, moss and grass grown from Brazilian and American seeds. 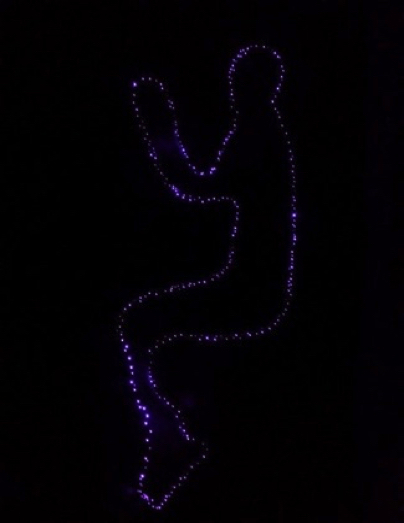 Ultra-violet neon light is contained in white painted neon tube hanging on white wall and released in the dark. The Cornell Lab of Ornithology Archive of bird sounds and behavior description mixed with Brazilian lullabies sang on the artist's voice. 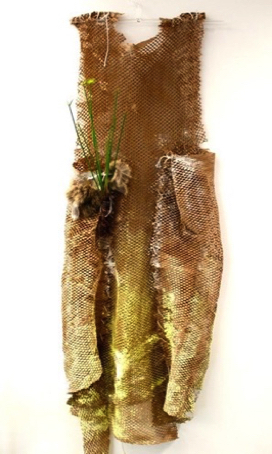 Recycled brown packing paper, recycled house paint, clay, rabbit skin found during moss gathering, glass, papyrus plant.